England's high scoring total of 180 proved to be too much for India as the Three Lions thwarted Dhoni's men by 3 runs. England racked up a very solid total of 180, with six wickets falling. 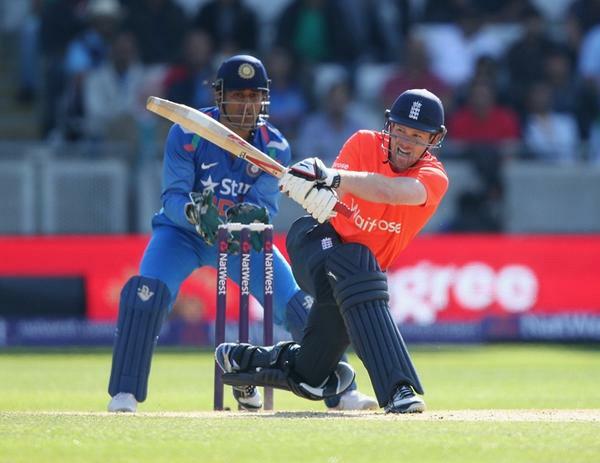 The star batsman was Eoin Morgan who smashed a remarkable 71 runs off just 31 deliveries. Earlier in the innings, star talent and gigantic slogger, Alex Hales contributed to England's big score as he knocked a solid amount of 40 runs. Bopara chipped in with an unbeaten 21 off just nine balls. With around 2-3 overs left in their innings, England went all-out attack on the Indians but that was always going to be a risk of losing wickets. 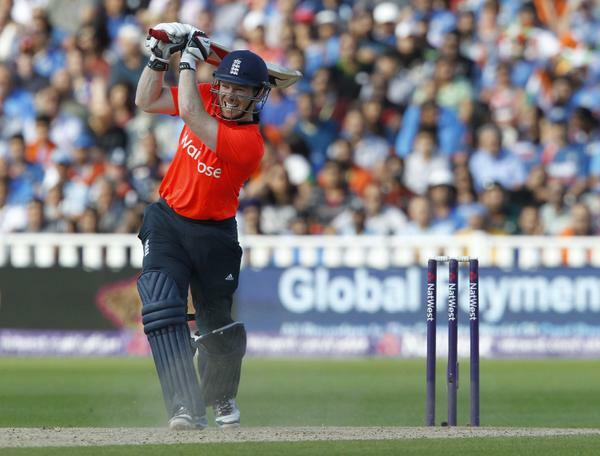 Eoin Morgan's high scoring knock of 71 came to an end. England ended with a total of 180 forcing a compulsory big amount of effort from India in their innings. England made a good start, as part-time spinner Moeen Ali bowled Rahane by torching his stumps with a lighting quicker delivery. Dhoni's men responded very well to Rahane's dismissal as Virat Kohli knocked a fair few boundaries, skyrocketing the Indians' batting score up past the 30 mark. Steven Finn was the victim of Kohli and Dhawan's high scoring assault. The Middlesex quickie conceded masses of runs in just a few of his overs. England brought James Tredwell into the attack alongside Ravi Bopara. At the 9 over mark, India needed just less than 100 from 60 + deliveries. A much needed breakthrough finally came for the Three Lions when Dhawan swung but miserably missed, leading to Chris Woakes smashing the leg stump. India were 89-2 after 10 overs at this point. Virat Kohli played extremely well, around 12 overs he reached a half century from just 34 balls. He was convincingly beating the England bowlers. Two consecutive boundaries from Kohli saw the Indians reach 116-2 only needing 64 runs from 43 balls. England were sure being put under pressure at the 13 over mark. Finally, the vital wicket of Virat Kohli fell. Alex Hales took a brilliant catch to dismiss the Indian batsman who was kicking right into gear. 2 overs remained and India needed over 30 runs. The Indians stuttered towards the end as one of their batsman was run out. The last two balls of the 18th over resulted in dot balls which swifted the balance in England's favor. Captain M.S Dhoni smashed Woakes for four on the fourth ball of the over. India only needed 5 to win off 2 balls. India needed 5 to win but Dhoni only managed two run which resulted in a very well deserved victory for England.